Oddly enough, this is a question that seems to confuse a lot of people. Just what is a ghostwriter? People come to me seeking a ghostwriter, but they are not completely sure what one is. People come asking for a writer, but are not sure whether it is a ghostwriter they really want. What is the difference between a writer and a ghostwriter? Well, a writer is someone who writes. In case you missed that definition, I explained it here. 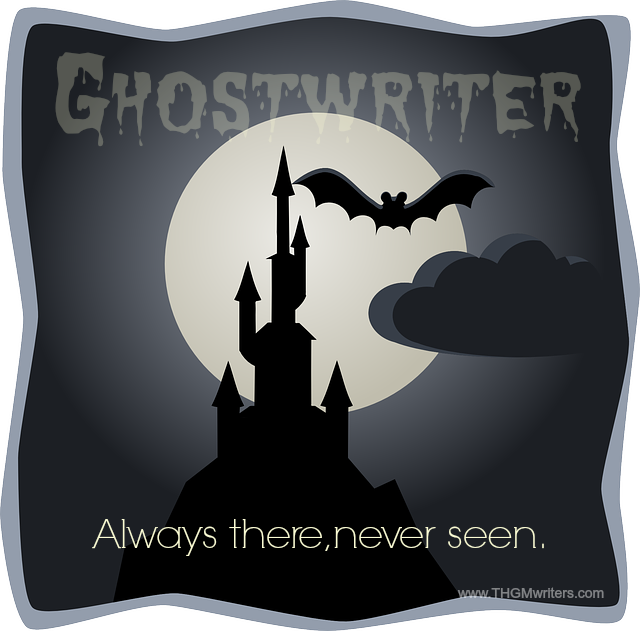 A ghostwriter is a specific type of writer, a writer that your readers never see. The writer writes, but takes no credit for the words and is not acknowledged. All credit goes to the person who hired the writer. Why would you call someone a ghostwriter? Consider a real ghost: always there, but never seen. That is what a ghostwriter is. You read a book or an article and you know who the author is, but you never know who the writer is. In fact, you assume the author is the writer. But the author might not be the writer, and you would be surprised to learn how much is ghostwritten. Almost any autobiography you will read by a famous person was written by a ghostwriter. The person might have been a great actor or a fantastic singer or a skilled statesman or a clever scientist, but that does not mean he or she can string ten words together to form a sentence. And it certainly does not mean they are experts at crafting text that will engage readers and keep them wanting more. If you want to get rid of pests in your walls, you can try chasing them yourself. Or you can call a professional exterminator. If you want to wear a new suit, you can try making it yourself. Or you can buy it from professionals at a clothing store. If you want a book written, you can try writing it yourself. Or you can hire a professional ghostwriter. And it is not just books. Most speeches you hear civic and corporate leaders deliver have been ghostwritten. Busy political and industrial leaders have neither the time nor skill to fiddle with words, so they hire speech writers. Many, perhaps most, will edit the text and send it back for revisions; but the bulk of the writing is done by a ghostwriter. When I worked for a Member of Parliament, I ghostwrote most of my boss’ letters. After a while, I got quite good as predicting what he would want to say, and most came back to me with his signature and without revisions. Many blog posts, especially on corporate websites, are also ghostwritten. So are many (most?) press releases. Some screenplays are ghostwritten, and so are some songs. Here is a great list of some works you might not know were ghostwritten. In most cases, the meat of the work – the key ideas, the plot, the point the author or speaker wants to make – comes from the author or speaker himself. However, in a few cases, people do come to us and say no more than, “I want a book written on how to make money online,” or something like that. The ghostwriter usually does research for the author. The ghostwriter keeps in the shadows. The ghostwriter does all the wordsmithing, usually also creating the structure of the text. The ghostwriter does not reveal her identity to anybody. The ghostwriter does not take any credit. The ghostwriter does not (usually) get royalties on book sales. Why would you want to hire a ghostwriter? You might lack the time to write a book or a speech, which is certainly the case with politicians, corporate executives and celebrities. You might lack the skill to write your own text, or at least to write it as well as you would want it written. You might lack the patience. Writing a book takes time. It takes months. There is a reason that a book manuscript is measured in thousands of dollars rather than hundreds of dollars. It is a lot of work over a long period of time. It takes more than just skill; it takes endurance, patience and perseverance. There are probably more uncompleted manuscripts tucked away in dresser drawers than there are completed manuscripts on the market – because it takes a tremendous amount of perseverance to keep going and finish the manuscript. On the other hand, you might lack the money. Many people do. In that case, a ghostwriter is not an option. But if you would rather have your book written than go on a Caribbean cruise, then maybe a ghostwriter can help you overcome a lack of sufficient time, skill or patience. So is it a ghostwriter or a regular writer you need? In the end, it doesn’t matter, as long as you specify what credit you are willing to or unwilling to share. I am a ghostwriter for a company and have listed it on my LinkedIn account and on my resume, but I wonder if it’s smart to do that? I mean if I’m a ghostwriter for a company, should I not take credit for any writing? Best ask their permission before using their name as a reference. Thanks for the post. I got this question a few days back when i visited fiverr.com. You have defined it very clearly. Keep it up. I Didn’t know what a ghost writer is Or what’s the difference between a writer and and a ghost writer..
After reading your post I got crystal clear concept. Thanks for sharing the post ..
What a joy to be here again! Well explained it for the newbies.